Dangerously delicious (seriously, these pack a punch, so moderation is key friends), everyone’s favourite Campari infused cocktail is so special it gets a whole week to itself. From June 4 – 10 we’ll be trading in our wines for that perfect blend of gin, Campari and vermouth, and our favourite Brisbane bars will be getting in on the action too. Kick off the action early with a big Aperitivo Party at Black Bear Lodge. Party down with DJs and a NEGRONI FOUNTAIN (Magic Fountain by Art v Science plays in the background) spitting out liquid gold on May 30. 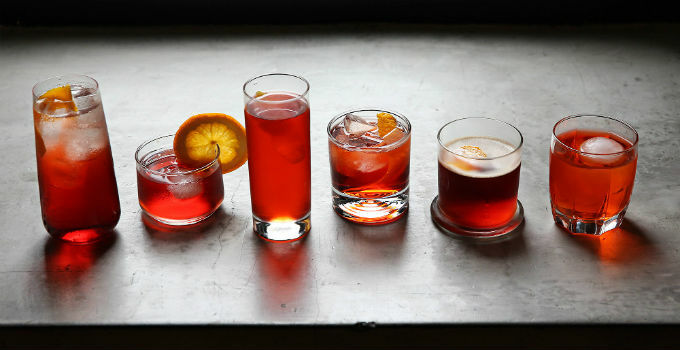 Prefer your Negronis with a bit more chill? Swing by The Gresham, The Bowery, CobblerorSavile Rowefor a classic stir down and swap some banter over the bar. With some of Brisbane’s best bartenders behind the stick, take a seat, sip slowly and be transported away from Brisbane. Not content with just the classics?The Osbournehas got your back fam. Take a gamble on something new and beautiful and taste your way through Barrel Aged Negronis, Black Negronis and White Negroni Daiquiri. Exotic! The team from Riverbar and Kitchenwill also be slinging bevs for a good cause, with every Negroni sold donating $1 to OzHarvest. Best of all? It’s all for a good cause. Using the power of booze for the power of fundraising – participating bartenders will donate a portion of sales to over 40 charities. After the week is complete the bar with the highest donation will have their donation matched by Campari Australia. Raise a glass to charity, to bartenders and especially to the crimson concoction that is a Negroni! - whose BAC is basically Campari.